It's the start of another brand new week and we are also now at the last week of November. It's going to be Christmas in less than a month! Since the start of the month, my Christmas playlist has been playing everyday. I have also been watching my favorite Christmas movies over and over again. Yes, I'm that crazy about Christmas! Although it's been less than a week since I came back from Perth, I'm already missing everything about Perth. The weather, the people, the peace, the quiet, the sea, the scenery and everything else. The week in Perth has been nothing but awesome! I was reminded once again why I fell in love with this lovely city when I first stepped foot there when I was 18. If everything goes well, I will be back there next May or June again. Since I'm gushing about how much I love Perth, I have an indie brand from Australia to share today. Emily de Molly was created by Hayley and she only ships within Australia. Thankfully though, Shoppe Eclecticco is now stocking Emily de Molly polishes, so we can now get the polishes in Singapore! 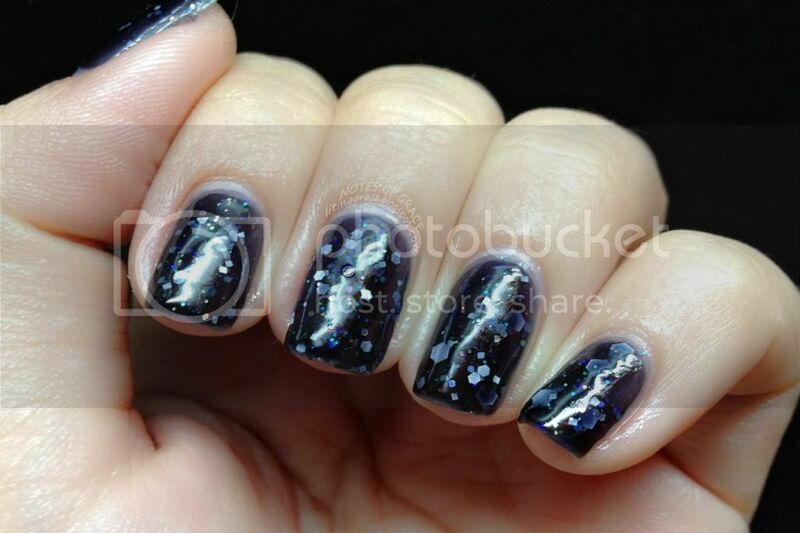 Here I'm wearing Insomnia, a black jelly with white, iridescent glitter and silver holographic. The photo shows 3 coats with a top coat. Presentation wise, it's very different from the other indie brands. 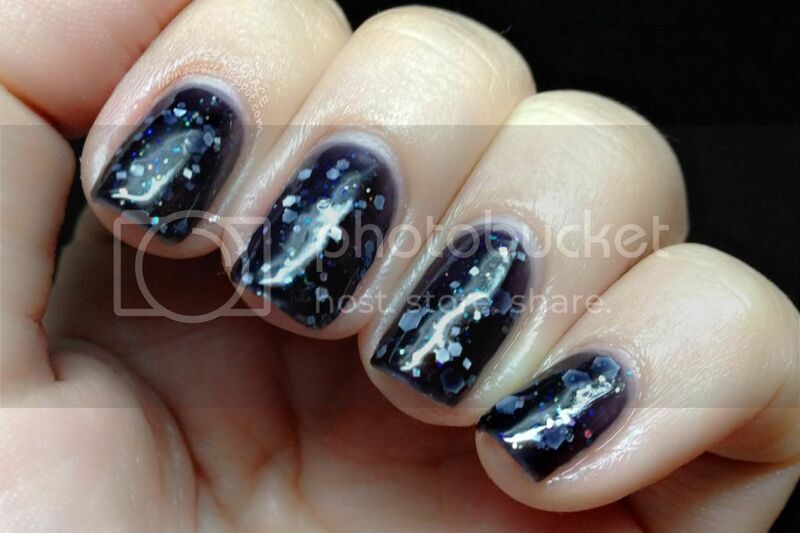 The labels are professionally printed and there are variety of colors depending on the color of the polish. Emily de Molly polishes are retailing at Shoppe Eclecticco at S$18.00 each excluding shipping. International shipping is available as well. That's all for today's Nails Talk. Will be back soon with more updates on the Perth trip.